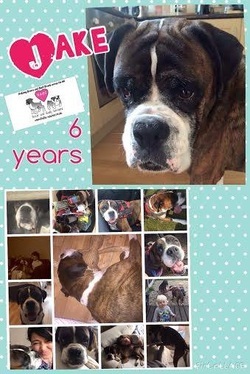 ​JAKE is a 6 year old Boxer looking for a very experienced home. He lost his old owner and then had a rough few months. Due to this he can play up when he thinks he can get away with it - but with someone who tells him a firm “No” and maintain boundaries he is an angel. 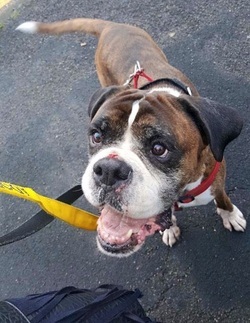 He can be picky about with people and other dogs he likes so although he is in foster with other dogs at the moment he needs to be an only dog. No children as however experienced they are they may have friends round who are not used to large, bouncy dogs - and Jake will pick this up.